This blog is about science, photography, motorsports, and other things that interest me, either long-term or just in passing. I am a molecular biologist and human geneticist, with a PhD from the University of Toronto’s Department of Molecular and Medical Genetics. I studied the genes that produce antibody heavy chains, a key part of the immune system. Following my PhD, I worked as a postdoctoral fellow at the Centre for Addiction and Mental Health, also in Toronto, studying a small roundworm called C. elegans. It has a simple nervous system that is remarkably similar to those of much more complicated animals, like us. 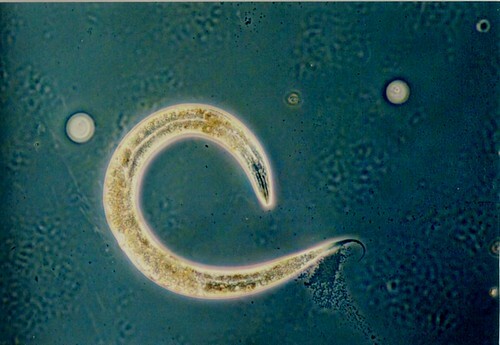 A C. elegans. It’s about a millimetre long, lives in the ground and eats bacteria. 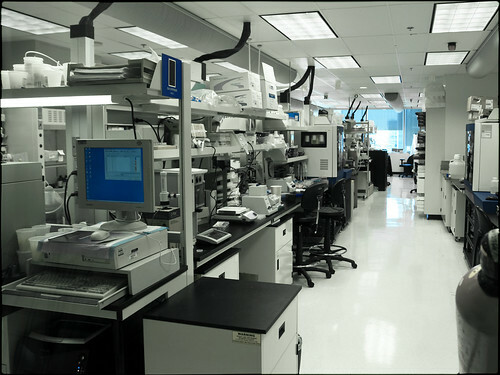 I next worked for six years in a small biotechnology company and one of its spin-offs, studying the genetics of inflammatory diseases such as Crohn’s Disease and Rheumatoid Arthritis. Along the way, I became the company’s Director of Research Operations, and wound up managing both people and projects, interacting with collaborators and investors, and taking care of company operations. I’ve also done a fair bit of consulting with government agencies, biotechnology and pharmaceutical companies, and life sciences market research and venture capital firms. Since January of 2006, I’ve been at The Centre for Applied Genomics (TCAG) at The Hospital for Sick Children in Toronto, Canada, where I am the Assistant Director. I’m interested in how genomic variation can contribute to the neuromotor condition, Cerebral Palsy, and am an active member of both CP-NET and the International Cerebral Palsy Genomics Consortium. I find time to do a bit of teaching, occasionally lecturing to both college and university students. The old lab. I worked in an office across the hall. We’re in the Peter Gilgan Centre for Research and Learning now. You can find me writing here, and occasionally at other places. If I’m not doing that, you might find me taking photographs of race cars, old buildings, and other interesting things I come across. The blog’s title, Adventures in Wonderland, is courtesy of Richard Grant. Prior to its launch in January of 2012, I blogged at the Occam’s Typewriter Irregulars, and from August of 2006 until then, at my personal blog (abandoned since I came here). You could also find some earlier science writing at Life Science Tools of the Trade, until it was taken off line. All views expressed here are my own, and do not in any way reflect those of my employers, past or present. Nice blog. I has worked as a scientist before. I am a molecular neurobiologist. I studied neuronal regeneration in Lymnea, rats and mice. I also had a sideproject about Rheumatoid Artritis. The effects of myofibroblasts in the joints (did some dna profilling, dna chips). I quited my PhD project and no working on a totally different subject. The biobased economy and the usage of plant material instead of oil. Great to read you have the same background.